Follow WKYC on Instagram here. It's National Chocolate Cupcake Day! Where do you get the best cupcakes in Northeast Ohio? Let us know in our Instagram comments. Where do you get the best cupcakes? 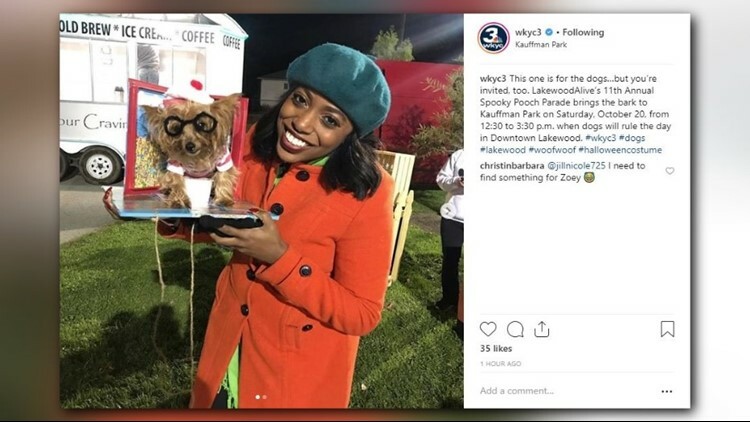 Lakewood's 11th Spooky Pooch Parade takes place this weekend and our Jasmine Monroe got a preview of the event. She even spent some time with some pawsome new friends. #Halloween has gone to the dogs! Lakewood's 11th annual Spooky Pooch Parade is happening Saturday, Oct. 20. Details at WKYC.com. The new "Guardian" banner to replace the infamous LeBron James banner on the Sherwin Williams building was installed yesterday. The new design features one of the guardians of the Hope Memorial Bridge that connects Lorain and Carnegie avenues and says, "All for The Land." The banner also bears the Cleveland Cavaliers and Destination Cleveland logos. Read more about it here. But many Clevelanders voiced their displeasure over the new design. What do you think? It's National No Beard Day so grab your razor! You'll want to enjoy a clean face while you can, anyway. No Shave November is just around the corner.